The atmosphere here at Pernod Ricard's Paris headquarters feels almost celebratory. Not only is the sun out, and the kids are on half-term, but it might just be the release of the wine and spirits company's half-year results earlier today that has given employees here a spring in their step on this February Thursday. At the lunchtime press conference, CEO Pierre Pringuet and MD of finance, Gilles Bogaert, struggled to hide their cheer – indeed, Pringuet's stifled yawns suggest there may have been a party last night. Pernod can't really be blamed for being quite so chipper – after all, organic growth in sales of 7% in the six months to the end of December, and net profits up by 10%, helped convince the company to up its full-year profits guidance. The move is all the more impressive when one considers how bullish Pringuet had sounded back in October, when he said he expected profits from recurring operations to rise by "close to 6%" for the current fiscal year. Raising that to “close to 7%” today could have been coupled with a party popper or two. The geographical source of Pernod's joy has to be China – granted, the first half of the fiscal year benefited from the earlier Chinese New Year, but that fact alone would struggle to keep all the plaudits for a massive 23% leap in operating profits. Put bluntly, in China, if it's brown it sells. 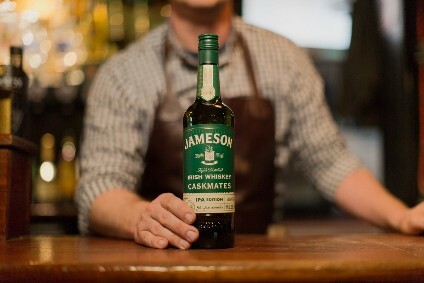 With each set of details per dark-spirited brand, Pernod highlighted its success in the east – Chivas, Ballantine's and Martell all prompted adjectives like “remarkable” and “double-digit”. In Europe, meanwhile, the company is toasting an economic recovery of sorts, with consumers “returning to premium drinks”, said Pringuet. Any sign of growth in this tough market warrants credit, and Pernod knew it, as they posted a 2% lift in sales in the region, excepting France. Sales in Pernod's home nation performed even better, rising by 5%. There were two clouds in the sky, however – although neither will stop the party. The results this morning were followed swiftly by a marked slide in Pernod's share price, a move which, like Diageo's Paul Walsh last week, left Pringuet confused. “I don't really know why,” he told the press, “but when most companies announce a good set of figures, their share price subsequently falls”. Could it have been linked to Pernod's 11% increase in A&P spend in the half-year? After all, A&P expenditure is profit going elsewhere. Secondly, although the company crowed about reducing its debt in the six-month period – down by EUR864m to EUR9.72bn – will any possible auction for Beam Global Spirits & Wines' brands come around too quickly for the French firm? 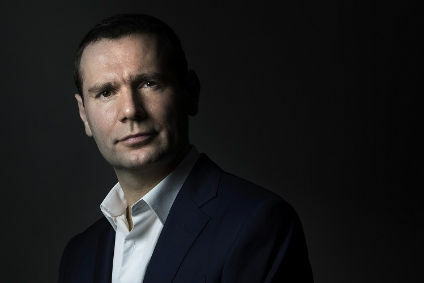 Considering its size, Pernod will certainly want to be seen to be a player in the M&A arena, but the company is unlikely to feel too comfortable about cranking its debt up so soon after it's been so proud of bringing it down. That's for tomorrow, though – tonight, they party in Paris.